This is a prequel to the award-winning The Charlestown Connection, so not a bad way to start reading this series even if it is the second novel to come out. I must admit it got me wondering how that first novel would be able to avoid all the important things happening in this prequel, unless MacDonald had a really good idea what he was going to write in the prequel and managed to slip in what came before in a good way and without spoilers. 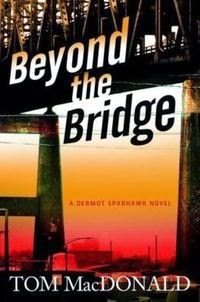 Dermot Sparhawk, half-Native American, half-Irish works in a Boston food bank after a botched football career. 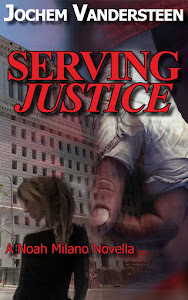 When one of the visitors of the food bank asks Sparhawk to prove a murdered priest was not a child molester he quickly discovers he loves playing detective and gets involved in the hunt for a serial killer who targets priests. Basically I enjoyed the story, but it had a few faults. Sparhawk worked together with the cops just a bit too easily and was just a bit to eager to become an amateur sleuth. Also, I didn't really care for his alcoholism, I think Sparhawk is an interesting enough character without that part of him that is becoming a bit of a cliche among hardboiled characters. Still, Sparhawk is an interesting unlicensed investigator in a great setting with a good mystery story and the writing is pretty good. I will be looking for the first one in this series and hoping for a third. Rag Baby (Bone Mizell) by Mark Ellis.